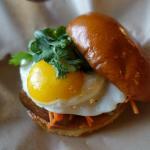 Have your 11 p.m. breakfast here. If you’ve lived in Los Angeles long enough, you may remember Duke’s Coffee Shop and the Rock n’ Roll Denny’s. Late-night eateries where rock musicians like Axl Rose held court while filling up on groupies biscuits and gravy after their Sunset Strip performances. 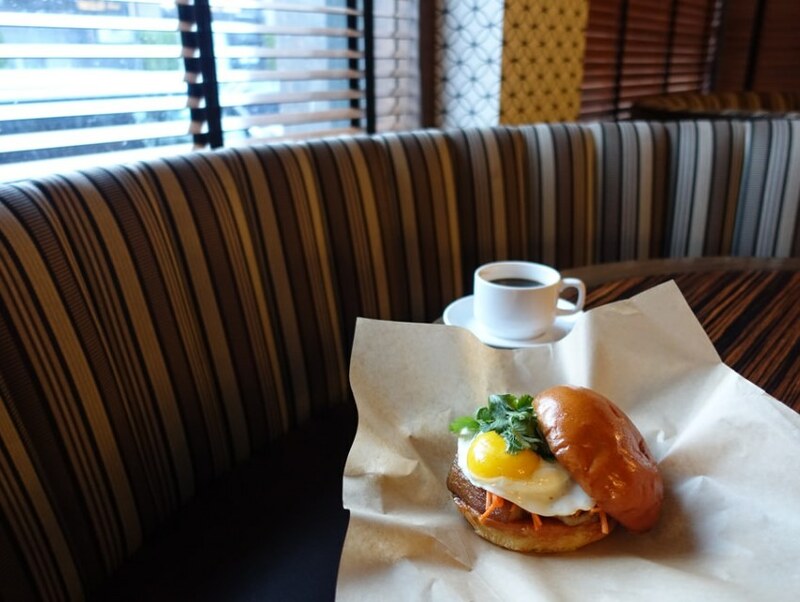 Now the concept of late-night breakfast in a rock ‘n’ roll setting has returned courtesy of Jeremy Fall’s brand-new Nighthawk Breakfast Bar. It won’t be a rowdy scene with dancing on tables but rather a chill place where a DJ will be playing classic rock and hip-hop and you can grab a bite pre or post-show. The bar-staurant opens tonight at 10 p.m. in the space adjacent to Sadie’s off Las Palmas Avenue, with its own separate menu and entrance. 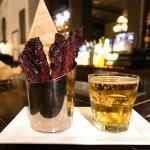 Bacon and beer: Order these for you and your friends…or just you. But the best part of this breakfast bar concept, in my opinion, is the fun cocktail offerings by Sadie’s Giovanni Martinez. 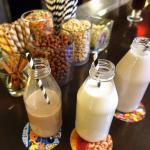 Cereal Milk Cocktails and fixings. 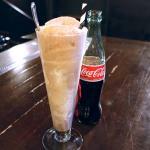 Fernet mint chip ice cream with Mexican Coke float. 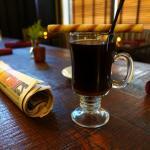 Oaxacan Coffee: Mexican hot chocolate spices, La Nina De Mescal primario, cinnamon, and coffee. 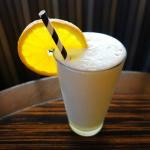 Hot Coffee Cocktails: There won’t be a full-on coffee menu like say, at Intelligentsia with its single-origin options. 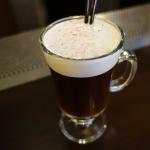 But in addition to regular espresso, Americanos, and lattes, there’s a Mexican Coffee available as well as an Irish Coffee, made in the style of Dead Rabbit’s in New York. 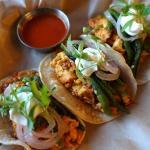 Martinez hopes to expand this menu, so be on the lookout for a Spanish Coffee in the future. Nighthawk opens tonight; starting hours are 10 p.m. to 2 a.m. 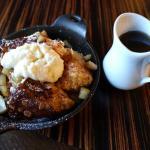 However, nightowls will be pleased to know that there are plans to expand its kitchen hours to 4 a.m.